I often float into the clouds. Find me where time is still, in harsh headlights I watch the stars leave their mark in the sky. These are the late hours of reverie. "I've been working around this idea of the photos being a fleeting moment, a hazy memory, or even people and places from dreams you can only remember seconds from. Lately, I have noticed a few trends in my work; a more graphics-based approach to subjects, a focus on light and light sources as the subject, and a deep interest on seeing that wich the human eye cannot." If you haven't seen this amazing and striking exhibit of photos, you still have a few days to check it out. 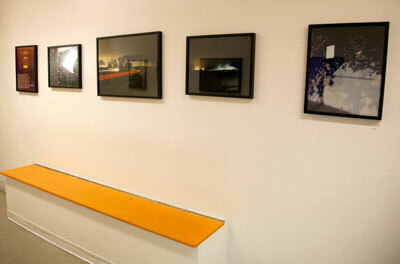 On exhibit @ TOIC Temescal through February 22nd.